Really cute. Arrived really quickly and the seller was very helpful when I made a mistake with my shipping address! A fun, colourful item for my daughter’s bedroom. Sent quickly and well packaged. Thanks! Introducing something a little bit new. Our macrame keyrings/keychains. 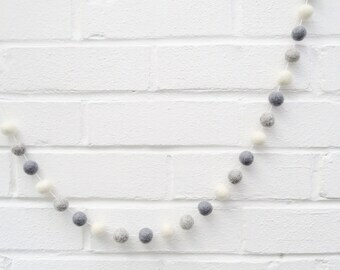 Available in lots of gorgeous colours and made from recycled jersey t-shirt yarn. Our popular storm clouds are now back. Yay! The clouds are now made from a beautiful black acrylic making them super durable. 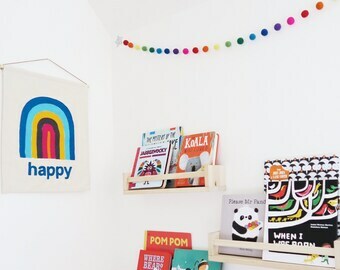 A beautiful capture from one of our customers of our rainbow felt ball hoop hanging. 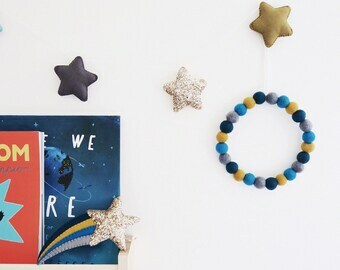 A really simple way to add a touch of colour to your decor. 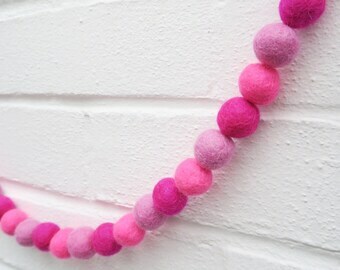 Hi everyone and welcome to La Pom Pom, the home of handcrafted wool pom pom and felt ball garlands, decor and jewellery. My name is Laura or Lala and I'm the owner, designer and creator and everything else at La Pom Pom. I'm also a stay at home mum or working from home mum, whatever the correct term is supposed to be, to two little boys with another baby due at the end of January. I love all things bright and colourful, although you wouldn't think that looking at me as you'll usually find me dressed in black! 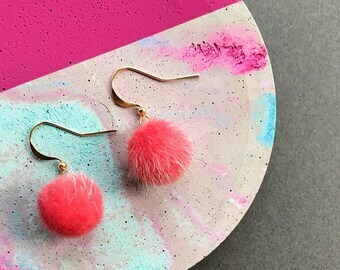 Pom poms and felt balls are kinda my thing and they are the perfect items to add a pop of colour to your home in the form of garlands, which can be hung virtually anywhere. 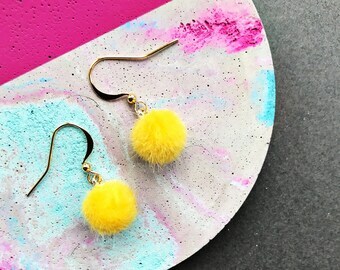 Our statement pom pom earrings are also a great way to brighten up your outfit and your day too. I make everything at home on our dining table as I don't have an 'official' office space, and all the magic happening in between looking after my two boys and running a home. 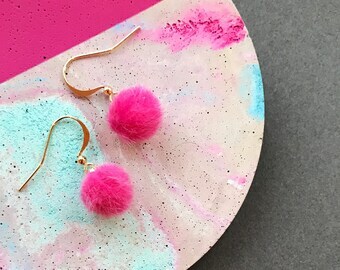 If you can't see what you're looking for in my shop, please do send me a message as I love working with people to create the perfect customised item for you and I'm always open to new ideas. 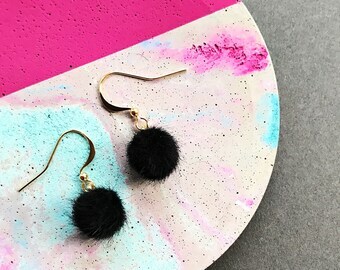 To fulfil your order, you must provide me with certain information (which you authorised Etsy to provide to me), such as your name, email address, postal address, payment information, and the details of the product/s that you’re ordering. 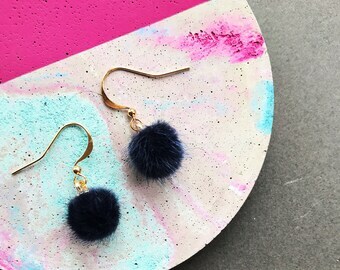 You may also choose to provide me with additional personal information (for a custom order of jewellery, for example), if you contact me directly.